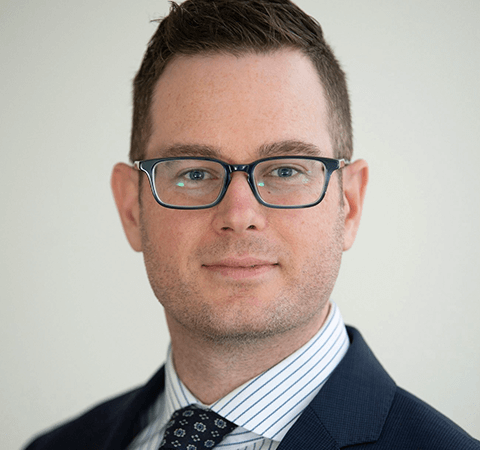 Ryan Mowll proficiently defends clients against commercial motor vehicle, products liability, and premises liability claims, as well as in general commercial litigation. Ryan is a proponent of early case intervention, pursuing issue identification and alternative dispute options, such as mediation, to most effectively resolve his client’s case, and works thoughtfully with his clients to identify whether they need limited or full scope legal services. Ryan has extensive experience representing transportation companies. He handles immediate responses to commercial motor vehicle accidents, including coordinating and handling the initial investigation with local authorities and liability and accident reconstruction experts, and managing municipal actions against drivers. His practice also includes handling premises liability matters within this industry, as in the case of the voluntary dismissal he secured on behalf of a trucking company warehouse client. In the area of general commercial litigation, Ryan received a summary judgment for a new restaurant in a shopping center that was alleged to have negligently and intentionally interfered with the business of a pre-existing restaurant in the same shopping center. The Superior Court dismissed the case, supporting the defense’s argument of lack of evidence. In another instance, Ryan secured a dismissal for a restaurant against a claim of responsibility for the actions of an employee of another closely related and similarly named restaurant. Ryan’s products liability experience includes the successful defense of a food manufacturing company against allegations it intentionally altered guards on a conveyor system that led to serious injuries to the plaintiff. The complaint was settled without contribution from Ryan’s client. He also skillfully represented a restaurant against allegations that its sizzling fajitas were a defective product, delivering a favorable result for his client through summary judgment. Ryan is an avid golfer and skier, and is currently attempting to learn piano in five-minute increments alongside his daughter. Obtained a voluntary dismissal of a Complaint in the District Court of New Jersey on behalf of a client pursuant to a triple net lease that shifted the burden to maintain the subject premises. Obtained summary judgment in the Superior Court of New Jersey on behalf of a new restaurant in a shopping center that was alleged to have negligently and intentionally interfered with the business of a pre-existing restaurant in the same shopping center. Ultimately, the Court agreed with my position and dismissed the Complaint on the basis there was no evidence the alleged loss of business by the pre-existing restaurant was in any way related to the opening of the client’s business in the same shopping center. Successfully defended a restaurant against allegations it was responsible for the actions of an employee of another closely related and similarly named restaurant. After extensive discovery regarding the restaurant’s business practices, including, the lack of sharing of employees, profits and clients, the Court granted summary judgment and dismissed the Complaint with prejudice. Successfully defended a food manufacturing company from allegations it intentionally altered guards on a conveyor system that led to serious injuries to the plaintiff. The Complaint was settled without contribution from the client.